1. Hotel Reception’s computer and smart phone(mobile) must be in the same LAN by Wifi. 2. 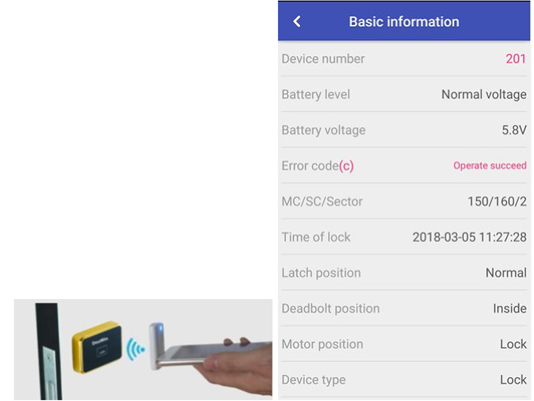 Smart phone(mobile) must be Android system and has Bluetooth function. Door lock software is powerful, integrated hotel entrance access control system and elevator access control system together. 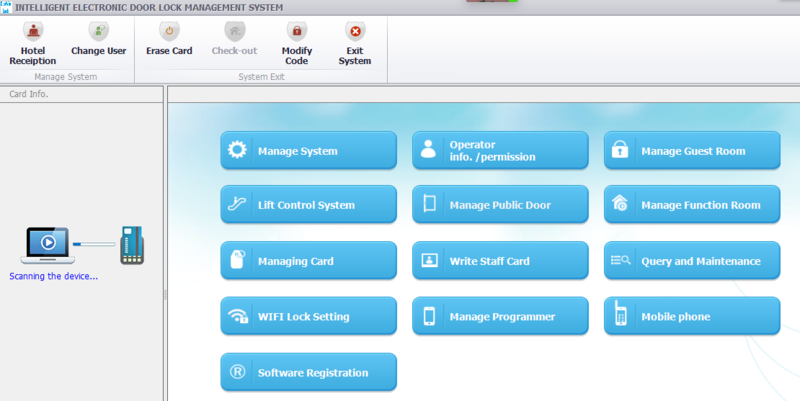 And it can be integrated with any hotel management software(PMS) by SDK(DLL). 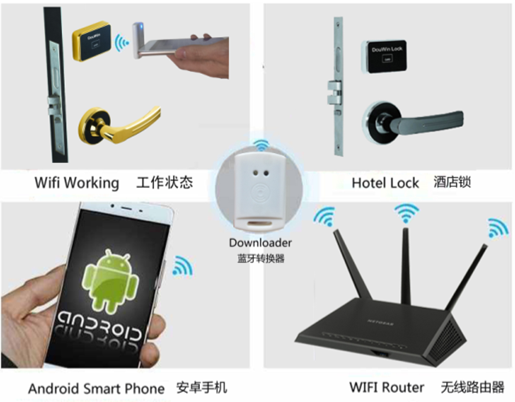 Door lock software data shared in the LAN, hotel can arrange “Check in” for the Guests in different the front desk Receptions at the same time. To programe(room number, time) for all the locks. To read the open door record(such as who open this lock? when? which card? ,etc.) from the lock to display it on the computer. exact reasons for it by Downloader to repair it well.